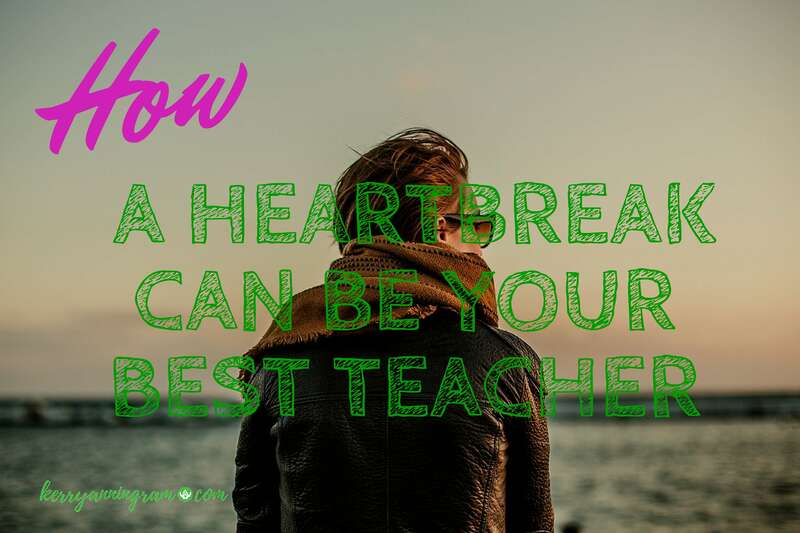 Today I’ll share how a major heartbreak can be your best teacher. If you told me 8 years ago I would be working for myself and enjoying my life – I would have told you that you were a mad person. You see, back in 2007, I was a different person. I was going through a super tough time in my adult life. I was an absolute emotional mess. I had no idea I could feel so much pain without suffering some form of harm to my body, but I was. Let me paint you the full picture. That year started off with such an amazing bang. I got engaged, I travelled around Canada and I finally decided to go back to college full-time! This was huge for me since I was unable to complete high school. In my late teens, I tried to go to college even though I didn’t finish high school. Nonetheless, that didn’t quite work out because I ended up leaving after my first year. Living on my own with friends from the age of 16 was way more unstable and challenging than I thought it would be. This is the reason I wanted so badly to have a second chance to successfully complete my education once and for all. Fast forward to the end of the December 2007 – all hell broke loose. My bubble of joy exploded in my face. It kind of felt like someone threw a full water balloon at my face at top speed. 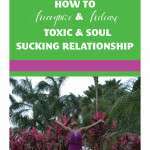 My natural happy-go-lucky state changed fast to a sad one when my relationship ended. I fell into a deep depressed state right after I received a 14 page handwritten “Dear Jane Letter”. My world started to crumble from under my feet. I ended up quitting my job because I couldn’t get up to go to it. After I did that I stayed curled up on my sofa for days. I tried to move, but it seemed that my body and my mind had a falling out and they were no longer speaking to each other. I felt like Arielle in the Little Mermaid. You know the part in the movie where she was trying to figure out how to use her new legs, but she kept falling down? Yup! That was me, figuratively and literally, so I decided it was easier to stay lying down. Even eating, sleeping and speaking proved to be hard to do so I just stopped doing them. Man, that pain was so deep and real. During those first few weeks, I just wanted to go to sleep and never wake up. After about 3 weeks into my grief, something miraculous happened, though. I stopped crying and started to realize that my glass was not half empty, it was half full or better yet, it was FULL! I started to think about all the blessings I had in my life and all the reasons I had to be grateful. And you know what? peace started to flow back into my life. I also chose to stop blaming and hating the person for my pain. I started to see the picture from a nonjudgmental viewpoint. I asked myself this, should I be mad at another person for wanting to do what they needed to, for their own joy? Even if I didn’t agree with the way they went about their actions, It was still not my place to judge or to take it personally. This new viewpoint was so powerful. I realized that even though this situation was a painful one, I needed to experience it to wake up to my life! I needed something drastic to jolt me into the present moment so I could start living again. I needed a reason, a BIG reason to unapologetically go for my dreams and this was it. I started to look at all the pain as a blessing, while seeing how It played a big part in my growth. Once I took responsibility for my part, more magic started to flow towards me. I mean, It started to take shape right away. That was a relief because I was heading back to school full-time in a few weeks, after a 9-year hiatus. I knew I needed to ground myself and focus because I had no time to waste this time. It was go time! I was set on completing my education with a high GPA, and I’m happy to report that I smashed that goal. I learned that when we surrender to the Divine, real and true happiness and magic start to happen in our life. Magic happens when we shift our thinking! As an abused child, I struggled to learn. I struggled from the time I entered grade school, right up to the time I left high school. This is why I knew I had to do well this time around. I knew I could no longer blame my situation. I was no longer that scared and abused little girl living in fear of her parents. That little girl was all grown up now. She was me, now the adult, which meant, It was all up to me to create the life I wanted to live and the way I wanted to feel. Right then and there I pledged to stop settling for pain and failure. As soon as I did that my mind started to process the new information. It started to work it’s magic almost instantly. To show you how awesome this magic is, I managed to graduate with an honours diploma and landed on the Dean’s list. Talk about Divine intervention! Remember, I didn’t graduate high school. After that, I knew I had stumbled onto something amazing. I knew I was now equipped to manage my life and get back into the swing of things. I started to meditate, I read books, I recited affirmations, I spent time in nature and I prayed a lot to the Divine. So much so that I thought of the Divine as my “Home Girl”. Bit by bit I started to feel like myself again. I am a super resilient human being, despite all the pain I went through. I am ALWAYS taken care of by the Divine. Everything in this life is a choice – even though the pain sometimes wants us to believe the opposite. Pain isn’t real – it’s a choice. It only feels real because we believe that it’s real. Once you stop believing in it, we can move forward with our lives. We can take any unpleasant situation and turn them into a positive one. For the most part, there are tons of lessons within each experience we come in contact with. If you miss out on those lessons, I promise you they will come back in a different package. When they do they might be a lot more painful to manage. Don’t let that happen. Get the lesson the first time around. 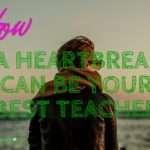 So now you’re asking yourself, what does this all have to do with a heartbreak being your best teacher? EVERYTHING. You see, most people will underestimate their ability to connect to the Divine energy. They seem to not be able to allow themselves to just let go and trust in the process. Heartbreak is a BIG one. They hold on to the pain, anger, sadness and all the disappointments. I know deep down they don’t want to do it, but they are not allowing themselves to trust so they can just let go. I believe that once people understand that the unseen holds all the magic. They will stop underestimating it and start believing in its power, so they can start living a happy life. You can see from what I shared, how REWARDING and EASY school became for me. Once I allowed myself to let go and allowed the Divine to take hold of all my pain – everything got easier. Almost right away I started to see magic happening in ALL areas of my life, not just with school. This is how a major heartbreak became my best life teacher and it can do the same for you. There is no way to avoid getting your heartbroken. Heartbreak is a BIG part of this life. Yet, there’s a way to use the pain as a building block to enhance your life and make it a more successful one. This is especially true and powerful for me. I found that EVERY TIME I surrender to the unseen powers, EVERYTHING in my life starts to work in perfect order. Allowing me to understand that I am NOT in control of what happens to me. I am only in control of how I receive what IS happening with me in it. This insight now allows me to gain from each of my experiences. Life never ever just happens to us – life is just happening while we’re floating around in it. If we want to experience a happier state more often than not, we must try and remember this truth. Most importantly, we must try to remember to focus on the lessons from every situation we end up in – good or bad. Be fearless in the face of all your pain. Know that you are the driver of your own joy train. You can choose to approach life from a joyful place in any situation. At the end of the day, It’s what you choose to focus your attention on, not the other way around. Thank you for stopping by to read and share your attention with me. If you found this post helpful in any way, leave a comment in the comment section below. If you know someone that might need some inspiration today, share this with them. This post might be just the thing they needed to hear to start building a healthy, wealthy and happy life! Thank you for Sharing this. This was such an eye opening article. Good for you! Such a great post! It wasn’t until I thought I couldn’t go on from heartbreak that I learned I was stronger than I ever could have imagined! Thank you for sharing a piece of your story!! You are very welcome! It’s my pleasure. Very inspiring! Also, good for you for being able to channel your pain into something positive! Heartbreaks can be truly challenging & sometimes, a blessing in disguise. I can say that as I have been through it, and like you, I feel I am a better person now that I have been through that tough phase. My life is totally different now and I am a better person than I was before. You used the pain to step into your best self! I love it!! Thank you for stopping by and sharing message with us. Heartbreak can be one of the biggest motivators. Sometimes, we get so deep into a relationship that we lose sight of anything else. The heartbreak can be a reality check. I love this post! Beautifully written. Thanks for your vulnerability and reminder that lessons on earth can feel so messy and painful but they are always happening for us as an opportunity to BEcome someone greater. ?Thanks so much for stopping by to share your words of wisdom with us here. This line of yours, “Be fearless in the face of all your pain. Know that you are the driver of your own joy train.” was such a good thing to hear. I’ve been through a similar struggle but I agree that if you release to a higher power that it’ll work itself out in your favor. Lovely post! Danielle, I love that this line resonated so well with you. Remembering these simple truth will allow us to heal fully and completely. Thank you so much for your support! I am happy you enjoyed reading today’s post.